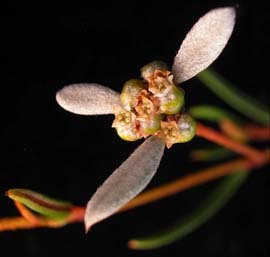 Spyridium vexilliferum (Propeller Plant) is a medium-large shrub that grows in eastern Tasmania. The leaves are narrow. 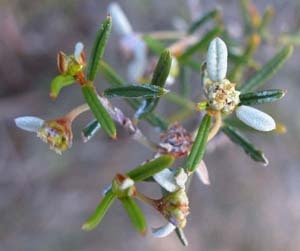 The flower heads have two or three very obvious, hairy floral leaves. Stenanthemum pimelioides is also known as propeller plant.